I’m willing to be you’ve heard the term gut friendly in reference to foods floating around this year. But, rest assured, this isn’t some fad out there. Gut friendly is here to stay (and it involves Chicken Albondigas Soup), for good reason! 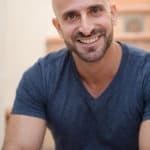 Before I can really dive into my obsession gut health, I have to introduce you to a dear friend of mine, Manuel Villacorta. Manuel is one of the few male dietitians in the field and has the most remarkable story. Born in Peru, he came to the United States to pursue his passion for nutrition and health. After attending Berkeley for his undergrad and San Jose State for his Masters, Manuel immediately became a voice for the profession. 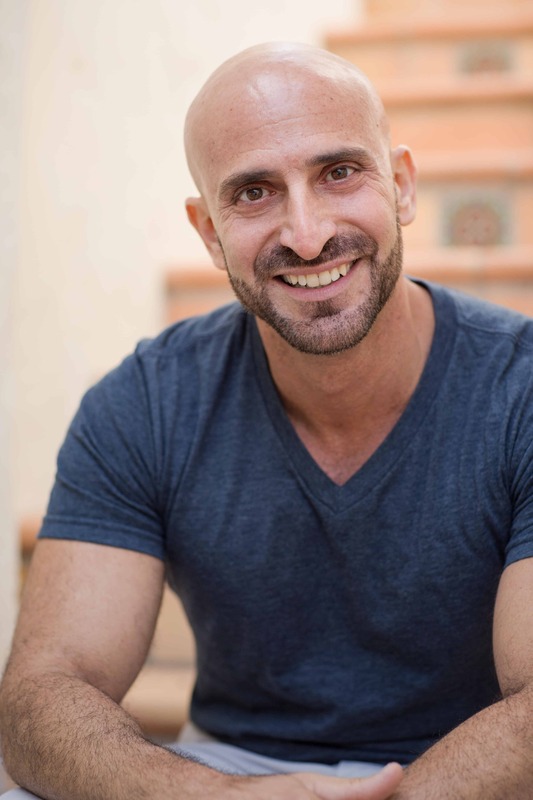 Flash forward just 18 years and Manuel has been featured on local and national television as a regular health expert, represents countless brands and agencies, and has built an empire around Whole Body Reboot, his brand, that has not only books but an app as well! Now that we’ve got that off the table, back to that term, gut friendly! Last summer I had the pleasure of attending a full day seminar on gut health down here in San Diego and my mind was racing. Did you know that 70% of our immune system is housed in our gut? Yep, just when you thought eating your vitamin C was enough to banish the cold, think again! Eating your oats, yogurt and a host of other gut friendly foods will not only help promote your total health, but your gut health, too! Well, that’s where Manuel’s latest book, Flat Belly 365, comes into play! 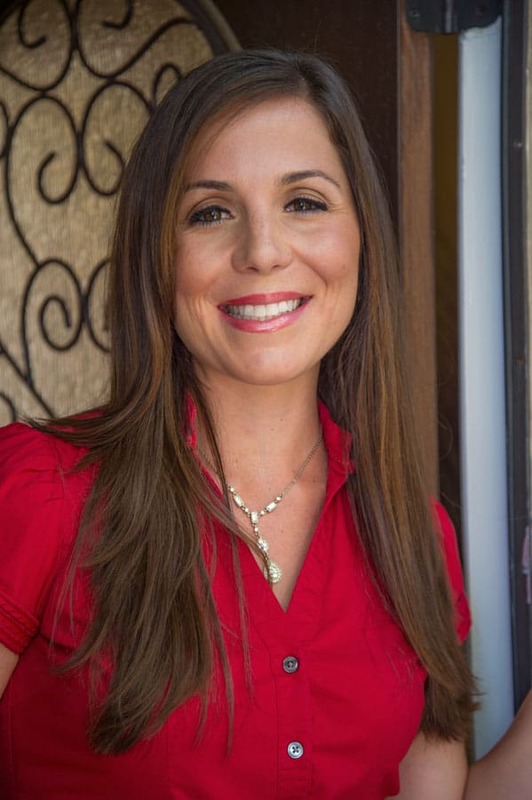 What I love about dietitians is that while we promote science based research, we also want to provide you the tools to take home and incorporate this into your daily habits. Manuel wraps up the book with a beautiful recipe collection, broken down by season, to help set you up for success. Manuel was so gracious to let me share his amazing Chicken Albondigas Soup with you today! I promise, whether cold weather has you down or you just want a delicious, hearty soup, this baby is for you! 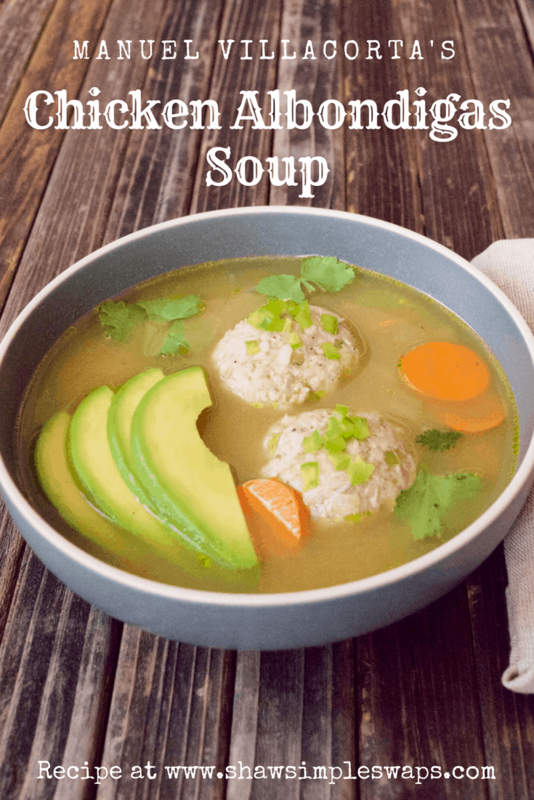 Chicken Albondigas Soup - a delicious gut friendly option to help increase your health and fight inflammation from the cookbook, Flat Belly 365. In a medium bowl, add the ground chicken, rice, onion, diced bell pepper, salt, and black pepper. Mix thoroughly and shape into 8 2 ¼-ounce meatballs, measuring a 2-inch diameter. In a medium sized pot, place the chicken broth and bring to a boil on medium high heat. Add the chicken meatballs and cook for 10 minutes. Add the bell pepper, onion, celery, carrots, cilantro, salt and black pepper. Cook for 5 minutes or until vegetables are tender. Place on top of each serving 1/3 of the avocado. Note: In Latin culture, we squeeze lime juice on almost everything to bring out the flavors. This soup goes well with a squeeze or two. Give it a try. 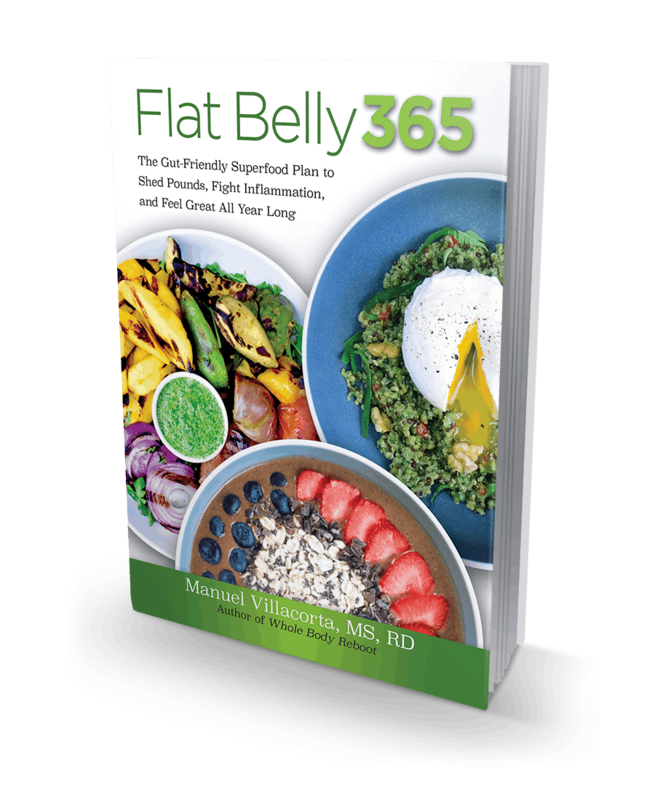 To get your copy of Flat Belly 365 click here! Let’s chat! 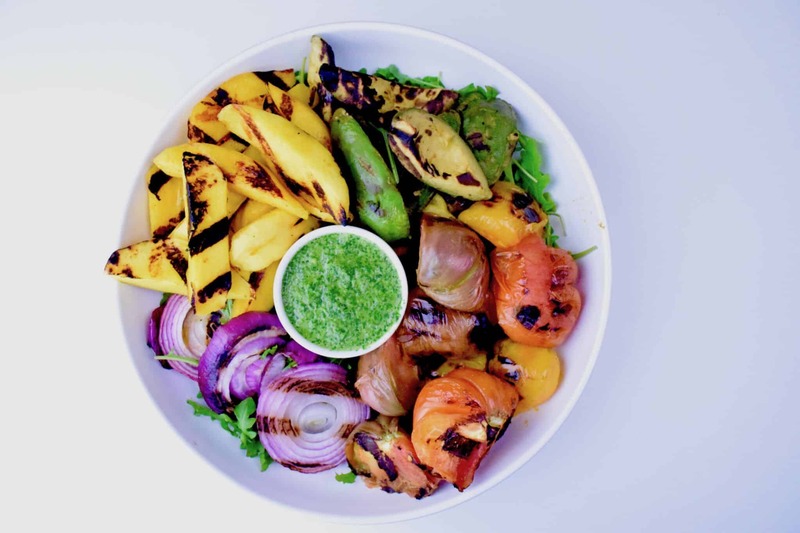 What is your favorite gut friendly food you eat on the regular?! I loved learning more about Manuel, and I am drooling over this soup! I can’t wait to make it! So much flavor! Thanks for the read Em! My sister in law who lives in Columbia (South America) just told me about an amazing soup at a restaurant she had. Now I have the recipe! Thanks!